One Savvy Mom ™ | NYC Area Mom Blog: The Amazon Kindle + Amazing Accesories = The PERFECT Way To Say "I Love You" This Valentine's Day! The Amazon Kindle + Amazing Accesories = The PERFECT Way To Say "I Love You" This Valentine's Day! 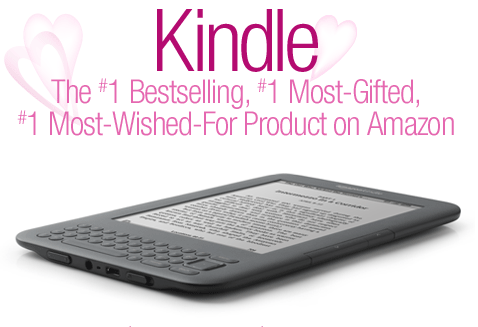 The Kindle is Amazon's #1 bestselling item for two years running. It’s also the most-wished-for, most-gifted, and has the most 5-star reviews of any product on Amazon. Now it's even better, and is the PERFECT way to say "I Love You" This Valentine's Day! 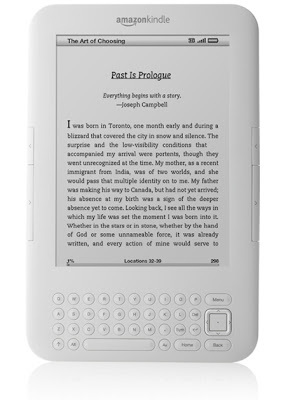 Kindle Uses "Pearl", the Latest Generation E Ink for 50% Better Contrast!When considering an ereader, you should ensure that you are getting a device with the latest generation E Ink technology, referred to as "Pearl". 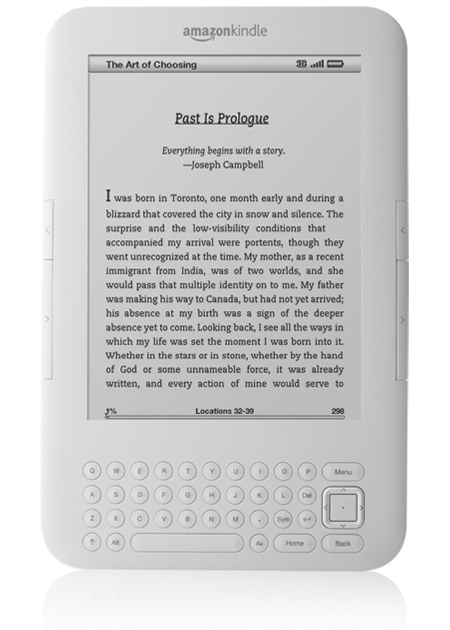 The all-new Kindle uses Pearl, resulting in the best reading experience possible with 50% better contrast and the sharpest text. The Kindle Store offer's over 810,000 Books, Plus Newspapers, Magazines, and Blogs You can search and shop the Kindle Store wirelessly right from your Kindle, allowing you to click, buy, and start reading your purchases in 60 seconds! 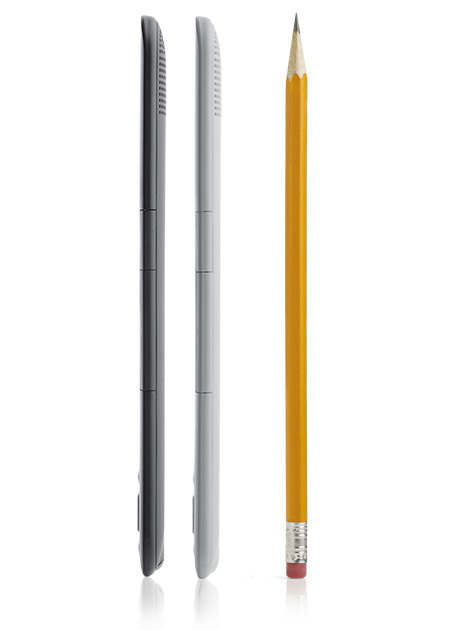 Lighter Than a Paperback: At only 8.7 ounces and 1/3 of an inch thin, Kindle is lighter than a paperback and thinner than a magazine. 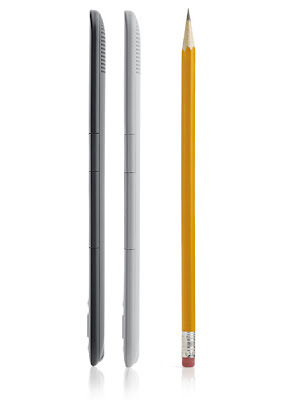 Holds 3,500 Books:We doubled Kindle's storage so you can carry up to 3,500 books. Battery Life of Up to One Month:A single charge lasts up to one month with wireless off. Keep wireless always on and go for up to 10 days without recharging. Free 3G Wireless:No annual contracts, no monthly fees. Download books anytime, anywhere. Learn more. Global 3G Coverage: Travel the globe and still get books in under 60 seconds with wireless coverage in over 100 countries and territories. Check wireless coverage. Built-In Wi-Fi:Connect to Wi-Fi hotspots at home or on the road. Includes free Wi-Fi access at AT&T hotspots across the U.S.
Quieter Page Turn Buttons:Quieter page turning means you won't disturb your partner when you want to read all night. Massive Selection: Over 810,000 books, including 107 of 111 New York Times Best Sellers, plus audiobooks, periodicals and blogs. For non-U.S. customers, content availability varies. Check your country. Free, Out-of-Copyright Books:Over 1.8 million free, out-of-copyright, pre-1923 books are available such as Pride and Prejudice. Low Book Prices: Over 610,000 books are $9.99 or less, including 79 current New York Times Best Sellers. Kindle Book Lending: Lend eligible Kindle books to other Kindle or Kindle app users for 14 days. Learn more. Read Everywhere with Whispersync: Your Kindle books can be read on your Kindle, iPhone, iPad, PC, Mac, Android device, and BlackBerry. Our Whispersync technology syncs your place across devices, so you can pick up where you left off. Worry-Free Archive: Books you purchase from the Kindle Store are automatically backed up online in your Kindle library on Amazon. Re-download books wirelessly for free, anytime. Read-to-Me: With Text-to-Speech, Kindle can read English-language content out loud to you. I am an avid reader, and have been for a long time. I love to immerse myself in a new novel, to discover new places, and learn more about the great people in our world.....it's a definite passion of mine! I have been intrigued by the Amazon Kindle for sometime now, and now that I've had the chance to use the Amazon Kindle.....I'm in LOVE! With a crystal clear display that that actually looks like a paper book (seriously, I did a double take when I took it out of the box and turned it on! ), I was immediately hooked! I have to admit, I was skeptical for a long time about e reader's. I love the feel of a book in my hands, and was a little fearful that it would be like reading my computer screen (as much as I use and appreciate my computer- the harsh back light of the HD screen is not something that my eyes tolerate well). Those fears were squelched immediately upon seeing the Kindle Screen and it' pleasant page display! So that I would have some point of comparison, I went to a big box store to check out a few other brands as well. The Kindle, DEFINITELY. HANDS. DOWN. IS. THE. BEST! 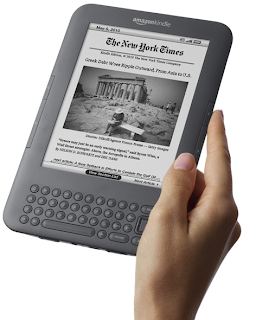 There is no comparison when it comes to the "Pearl" E Ink that is used for the Kindles display! After experiencing the other brands (and while they were OK) the HD Screens immediately scream COMPUTER (and personally hurt my eyes). Aside from the incredible display (really, I could go on and on and on...you'll understand when you see it for yourself!) there are so many convenient features! I love that you can increase the size of the text (sometimes my eyes are tired and I prefer much larger text so that I don't have to strain to see), and the text to speech feature allows you to listen to the book (great for when I'm on the go, in the car, or exercising!). I really enjoy that I can browse the selection on Amazon directly from the Kindle, and within a minute of purchasing a title, it's available for me to read in my library! After browsing through the various titles, I chose a few books (one that I had in hardback and had purchased a few weeks ago for $35, was only $9.99 on Kindle! So, the savings are well worth it!) to start my Kindle "library". 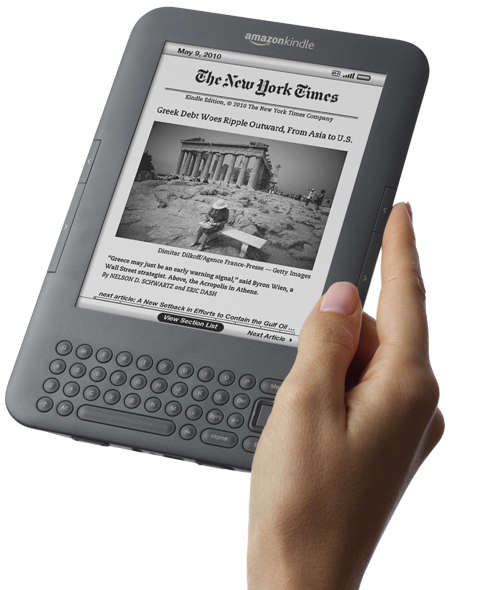 I also now receive the New York Times (delivered daily to the Kindle automatically) and The New Yorker on the Kindle. Subscriptions available on Kindle are not only convenient and money saving, they also offer many with trial periods (between 2 weeks-2 month FREE Trials are available for many subscriptions). Another feature that I love? When reading not only can I bookmark my place when I done reading for the day but if I forget to bookmark my page, the Kindle will automatically open to the page that I left off at the next time I open that title! To add to all of the amazing features, Amazon offers some beautiful covers for the Kindle! 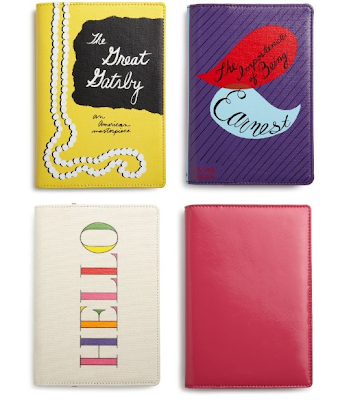 Kate Spade New York has designed beautiful Kindle covers; with one to fit every one's personality and style (a few from the line are pictured above). I received the Kate Spade Patent Leather Kindle Cover in Snap Dragon Pink (Pictured Above Bottom Right), and it is GORGEOUS! Arriving packaged in a beautiful box (pictured below) which could be gift ready by simply adding a ribbon.......I was truly impressed by the amazing quality! Equally beautiful on the inside with the black and white polka dot lining (pictured above), Kate Spade's covers are not only stunning, but the impeccable quality ensures years of protection for your Kindle. The Amazon Kindle is definitely now on the top of my list for favorite MUST HAVE item's! The Amazon Kindle + Amazing Accessories = The PERFECT way to say "I Love You" this Valentine's Day! BUY IT: The Amazon Kindle + Amazing Accessories = The PERFECT way to say "I Love You" this Valentine's Day! 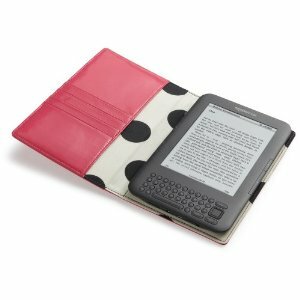 The Amazon Kindle 3G Reading Device and Kate Spade Accessories are available at http://www.amazon.com/ . The Amazon Kindle is also available at select retailer's near you. Following you from momsbloggerclub.. Nice blog you have got here.. I'm an avid reader also and I'm new to the e-reader. Although I chose the Nook Color. It works with the public libraries so you are able download and borrow books for free, which unfortunately you're not able to do with the Kindle. At least that was the case at time I purchased my Nook. Great Blog with a wealth of info! I am a new follower from Mom Blogger, as well as a new blogger in general.